The Remington Model 700 Long Range Bolt Action Rifle is built on the legendary tradition of the iconic Remington 700 with a synthetic stock. It's chambered in .300 Winchester Magnum and has a 26" barrel for reaching targets at incredibly long ranges. The magazine holds 3 rounds of hard hitting ammunition and it has an all weather tactically designed Bell & Carlson M40 black synthetic stock with grey webbing. The rock solid receiver is drilled and tapped for scope mounts and the rifle features a matte blued finish. It also includes a hinged floor plate magazine, and sling swivel studs. 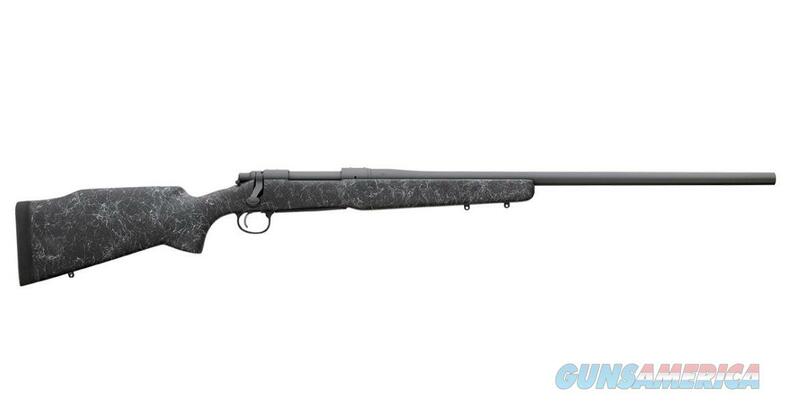 The Remington Model 700 Long Range is the high quality workhorse you are looking for in an extremely long range bolt action rifle.